A series of three sessions over a period of six months, to explore elements to the practice of AcroYoga. We will take you on a journey to explore the unfolding limitless potential to play. Bookings are made directly with the studio, but they are currently experiencing technical issues. Please could you make your bookings via the following link. If you are interested in attending all three workshop and take advantage of the discount still book for the first workshop and we will sort out your discount at a later date. The workshop will introduce you to partner yoga, suspended therapeutics; where you will explore the roles of inactive flying and listening supportive basing. We will also present the healing qualities of sensitive touch in Thai massage. 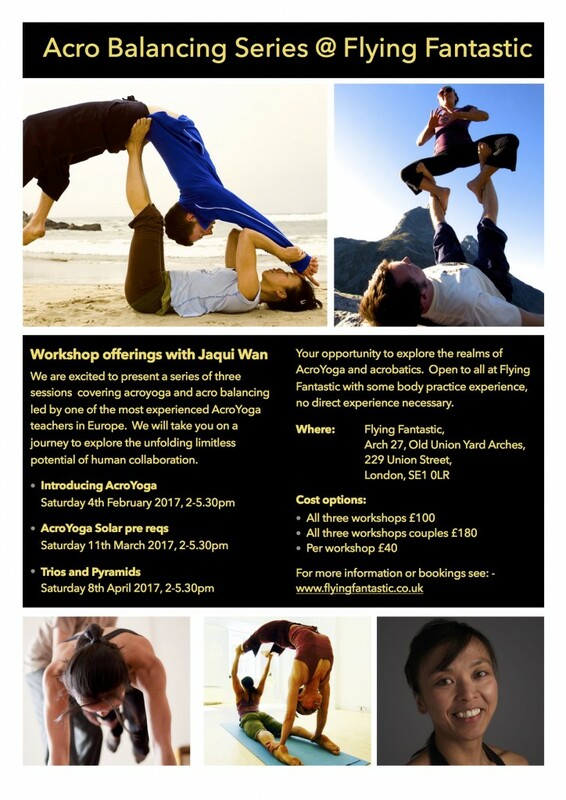 All the material covered are taken from the Lunar Elements within the practice of AcroYoga. Not just for partners. Ideal for anyone interested in what is possible in the company of two. No yoga or massage experience necessary just a willingness to be tactile in a non intimidating way. 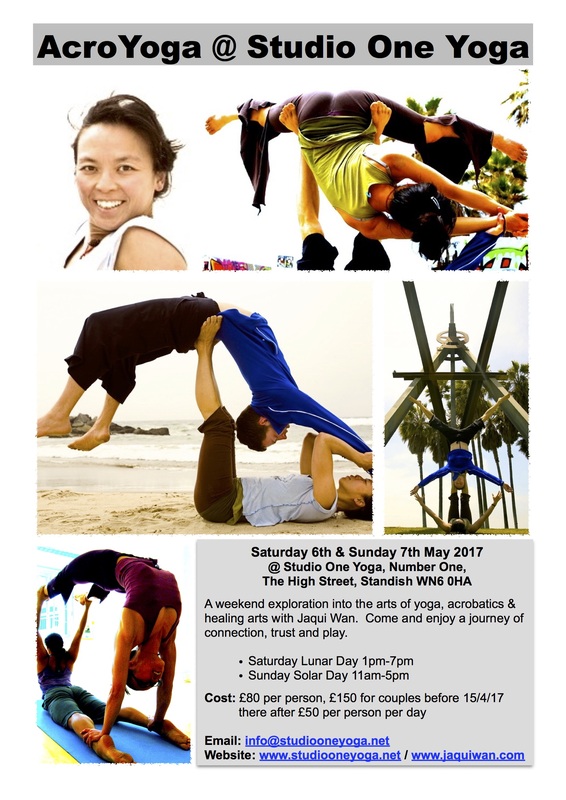 An introduction to AcroYoga; the interplay of yoga a solo practice, partner acrobatics and healing arts. 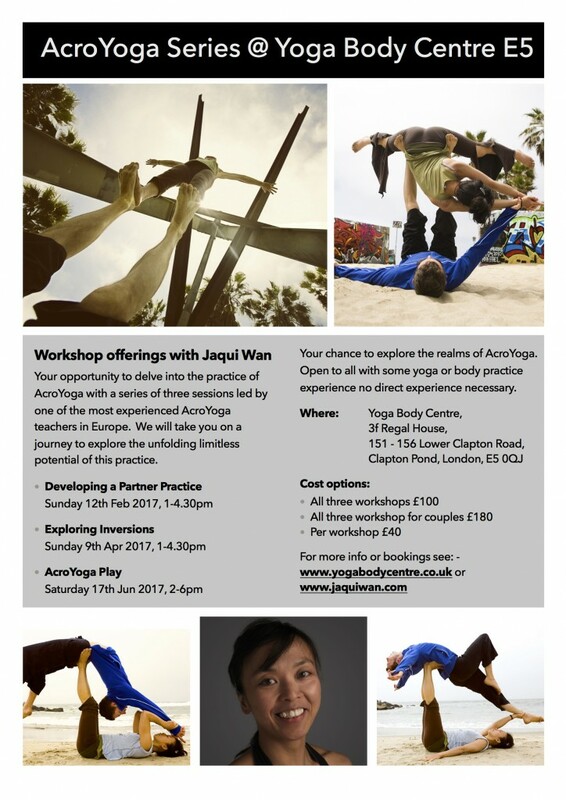 This afternoon’s workshop will focus on the wisdom of acrobatic principles, alignment techniques and strength elements that progress to basic partner balancing, cultivating trust, strength and flexibility whilst working as a team. We will work in a safe and supportive environment will empower the whole room to be upside down and play! We will explore the potential possibilities of connection, collaboration and play. 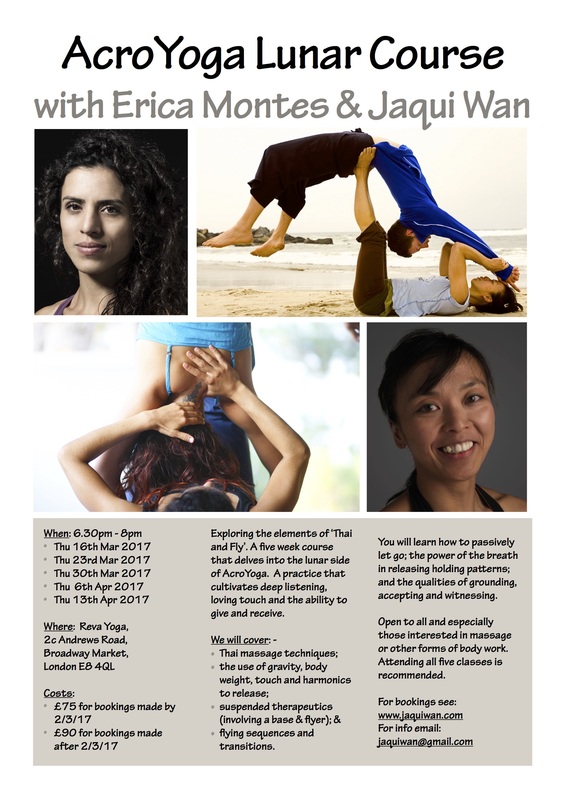 Some inversion practice would be an advantage or attended the ‘Exploring Inversions’ workshop at the Yoga Body Centre in the previous month (9th April 2017). No partner needed. Come support and be supported. Some yoga or body practice would be an advantage not direct experience necessary. Bookings are made directly with the studio, please register on line or email info@stamfordyoga.co.uk.